300GB? 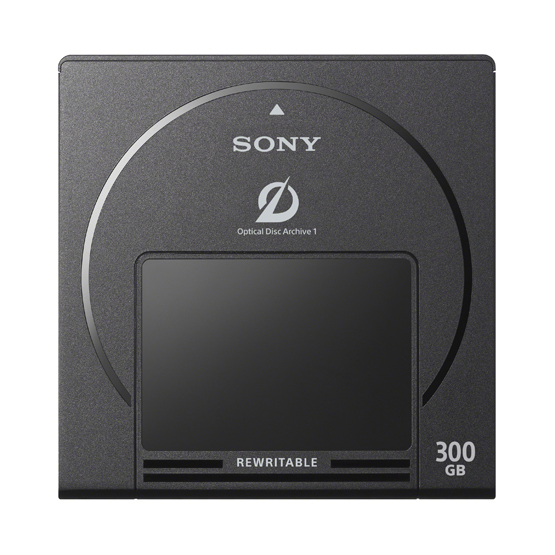 Rewritable Mass Storage Media with Proven Optical Disc Technology. The cartridge contains 12 discs with file format UDF (Universal Disk Format). Each cartridge allows random access to files and high speed data retrieval. ?Only the index reference is changed when the user deletes a file and the capacity on the disc is not restored, unless it is last recorded file on disc. The initial capacity can only be restored by re-formatting the cartridge. High Reliability, & Durability, Optimized for Near-Line and Long-Term Storage. The non-contact read/write technology of optical disc enables high reliability. Optical disc technology is extremely robust with a media archival life estimated at 50 yearsý, substantially longer than other storage media in the market. The cartridge is designed to be highly durable and resilient in a wide range of environmental conditions. This enables you to store the media in the typical office environment and does not require special climate controlled conditions. ýEstimated average archival life based on internal acceleration testing. Simple, Low Total Cost of Ownership. A key benefit of the Optical Disc Archive System is that it does not require frequent data migration. This simple solution can reduce the TCO (Total Cost of Ownership) and protect your valuable data, minimizing data corruption that can typically occur during data migrations, providing cost savings.